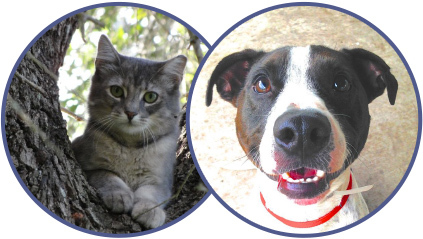 FACA is the ONLY organization dedicated to the needs of Florida’s animal control/protection profession. As the economy tightens, FACA becomes even more valuable as a necessary resource to see your organization through hard times. VALUABLE INFORMATION SOURCE: FACA is the only source for up-to-date information on state laws relating to animals, trends in enforcement and sheltering, and is recognized as the ESF-17 coordinating body for hurricane relief efforts. LEGISLATIVE IMPACT: FACA hires a professional governmental liaison to greatly enhance our impact in Tallahassee. FACA’s legislative agenda includes edits to Chapter 828 to expand ACO certification and continuing education, improving the dangerous dog statutes and obtaining “special risk” for ACOs. CERTIFICATION TRAINING: FACA is mandated by state law to approve the ACO curriculum and has the only state-approved euthanasia certification course, and its own chemical immobilization course that meets state standards. REGULAR COMMUNICATION: FACA members are in constant contact, with broadcast email, quarterly newsletter FACA TRAX and this regularly updated website, to assure relevant member-provided information and resources, strong networking and peer problem-solving. ANNUAL EDUCATIONAL CONFERENCE: Each February FACA brings together the best and brightest in the profession, to learn from each other and from experts on a wide variety of critical topics. Every session counts for continuing education credits for ACOS as well. REGULAR MEMBERSHIP for animal control agencies, law enforcement agencies, or government-contracted organizations providing animal control. The annual fees per employee drop as the number of employees increase. All agency employees who directly service animals are required to join. ASSOCIATE MEMBERSHIP for private shelters, resource groups, and individuals who wish to support FACA’s efforts and share in our communication. CORPORATE MEMBERSHIP for vendors and suppliers who wish to market to FACA members, keep up-to-date on Florida issues and events, and receive special consideration for advertising and exhibiting. Access our Membership Applications to the left, or contact FACA Headquarters at info@floridaanimalcontrol.org for more information.